Using extensive examples from practice with a range of client groups, Dramatherapy and Autism confronts the assumption that people with autism are not able to function within the metaphorical realms of the imagination and creativity. It demonstrates that not only are people who function along the spectrum capable of engaging in creative exploration, but that through encountering these processes in the clinical context of dramatherapy, changes can be made that are life enhancing. Bringing in cutting-edge research and practice on dramatherapy, Dramatherapy and Autism aims to contribute to developing the theory and practice of creative arts therapies interventions with clients with autism. The book is part of the Dramatherapy: approaches, relationships, critical ideas series, in which leading practitioners and researchers in the field develop the knowledge base of this unique discipline, whilst contextualising and acknowledging its relationship with other arts and therapeutic practices. 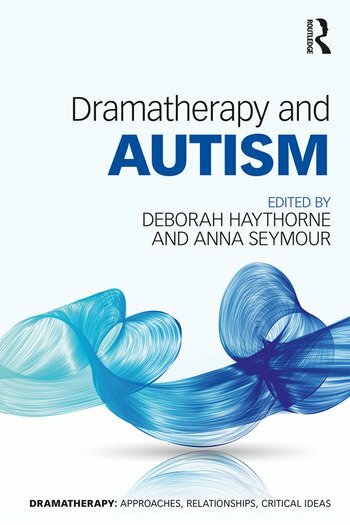 Dramatherapy and Autism will be of interest to a broad spectrum of readers, such as dramatherapists in practice and training, arts practitioners and academic researchers engaged in multidisciplinary enquiry. Deborah Haythorne is a founder and director of Roundabout, the largest dramatherapy charity in the UK. She is a trainer and supervisor for student dramatherapists, as well as experienced practitioners. Anna Seymour is Senior Lecturer in Dramatherapy at the University of Roehampton, London, Editor of Dramatherapy, Journal of the British Association of Dramatherapists and an international trainer.